Legacy International’s programs combine cross-cultural experiences with highly effective leadership and dialogue training. We train the next generation to be compassionate and critical thinkers. 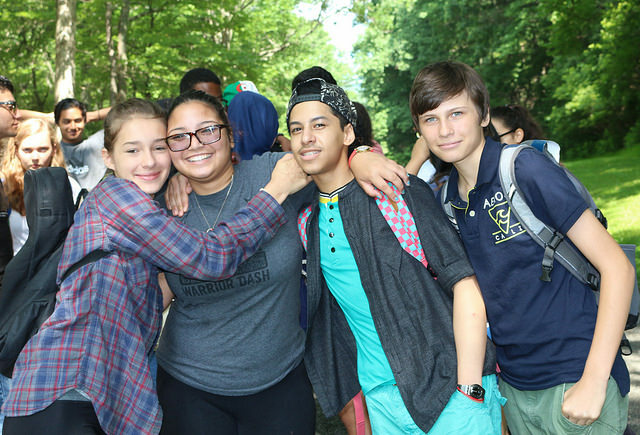 The Global Youth Village offers teen summer programs that focus on intercultural communication and community action. Morning workshops focus on living your life as a peace builder, on living your life as a social innovator and on living your life as a global citizen. The youth delve into topics and explore customs, traditions and hardships of their peers around the world. Participants develop a deeper sense of self-confidence and an expansive world view which stays with them for life. We also conduct transformative short-term exchanges that focus on leadership, peacebuilding, environmental stewardship, and more.